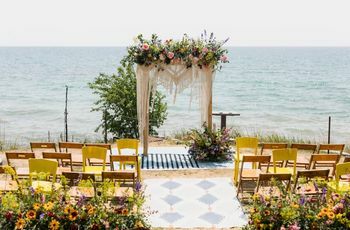 8 Ways to Decorate the Bride and Groom Chairs at Your Wedding Reception | Wedding Ideas ARE YOU A VENDOR? 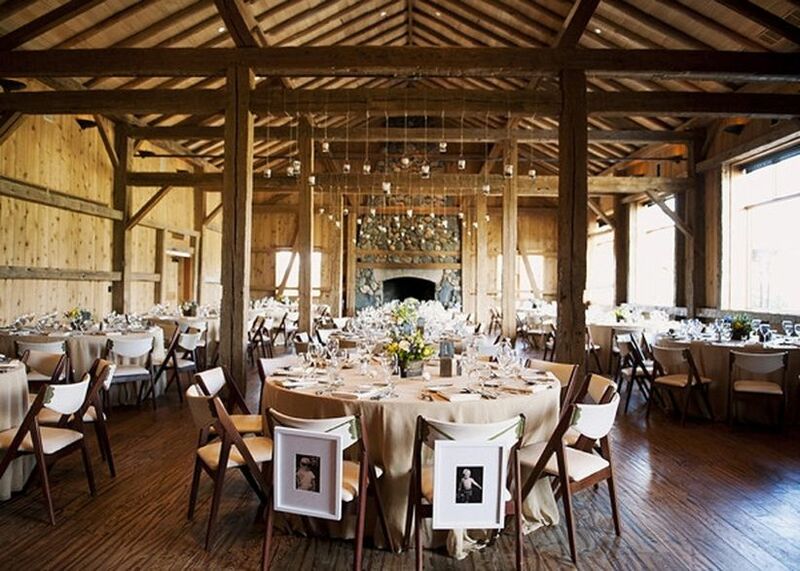 Want your bride and groom chairs to stand out from the rest at your wedding reception? 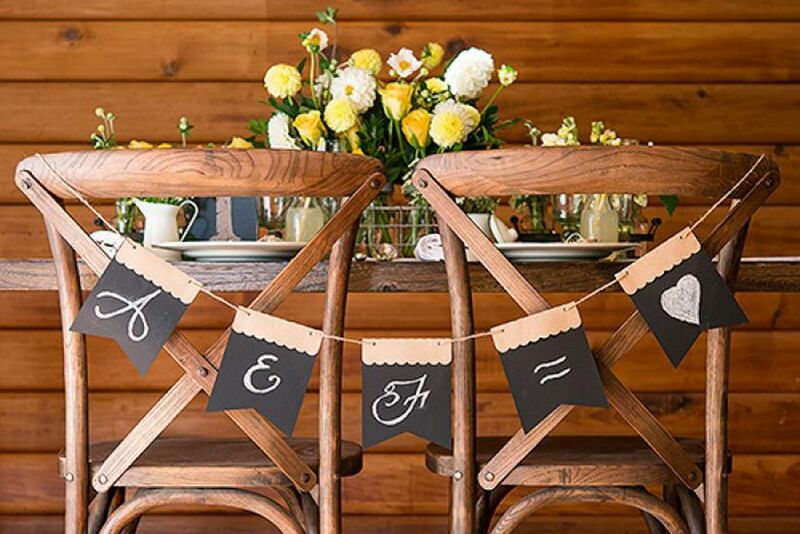 Here are a few ideas for marking your newlywed seats. 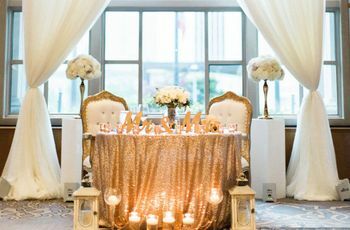 Whether you’re opting to sit at a head table, sweetheart table or join a guest table, it’s fun to differentiate your bride and groom chairs from the rest of the guests’. After all, you’re the guests of honour and all eyes will be on you. 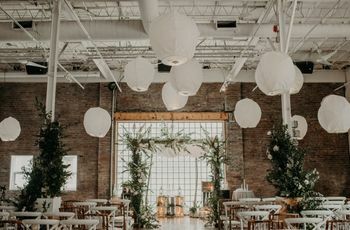 Look to your colour scheme and wedding theme for inspiration, then consider one of these ideas or combine a couple to make your seating really standout. 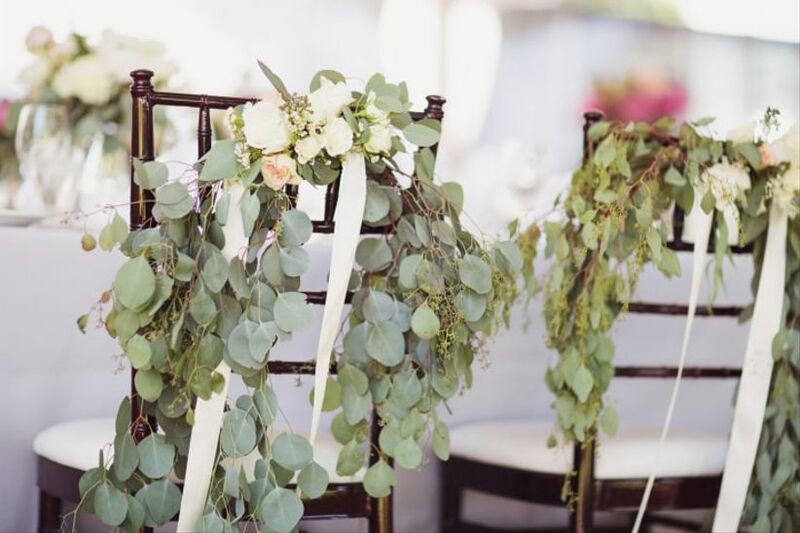 Here are a few of our favourite ideas for decorating the bride and groom chairs. 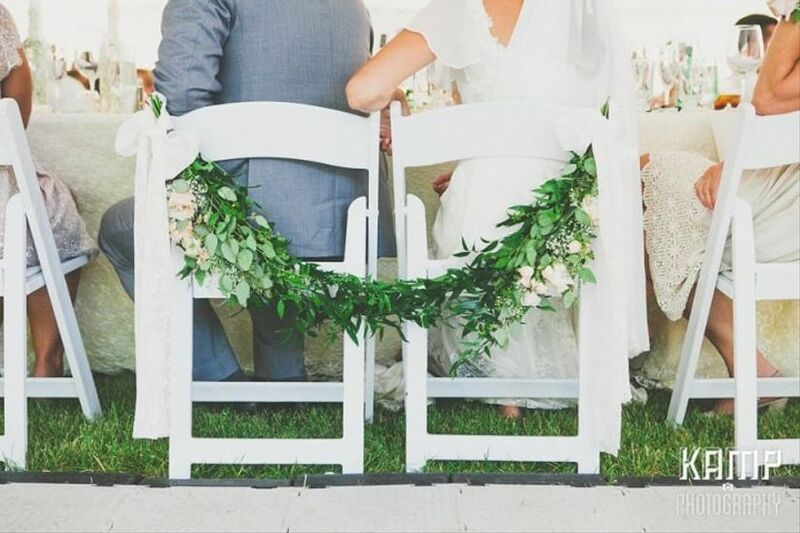 You can take inspiration from your wedding reception flowers and adorn your bride and groom chairs with wreaths, floral hoops, some greenery or pint-size arrangements (maybe even repurpose some aisle markers). Here’s a cute idea. Frame childhood pictures of each of you and hang them with ribbon on the back of your bride and groom chairs. 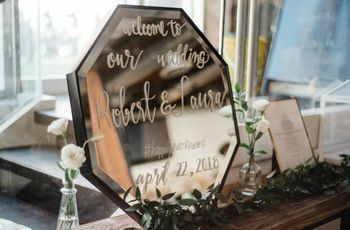 There are some awesome signs that you can buy to mark your spots with cute phrases like "Better, Together", " Mr. and Mrs." or "Bride and Groom". Craftier couples can make their own or have some custom made with an expression unique to you. 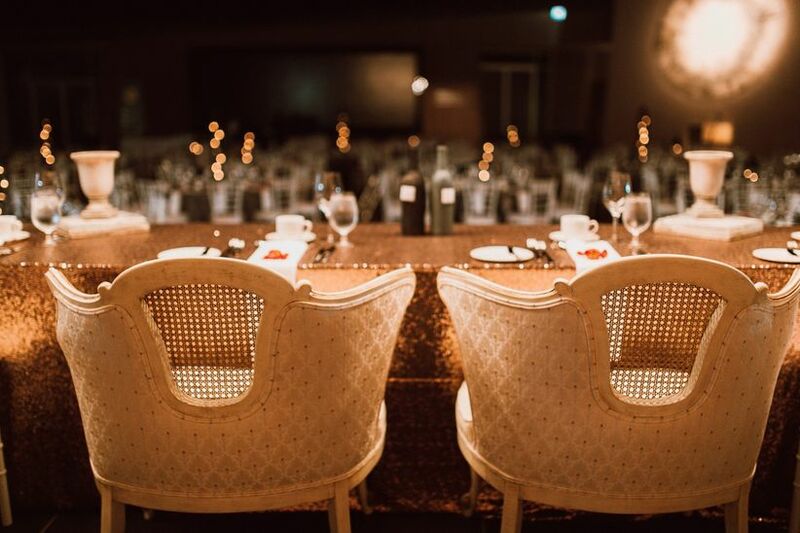 Make your bride and groom chairs stand out from the rest by choosing a complementary wedding chair style. 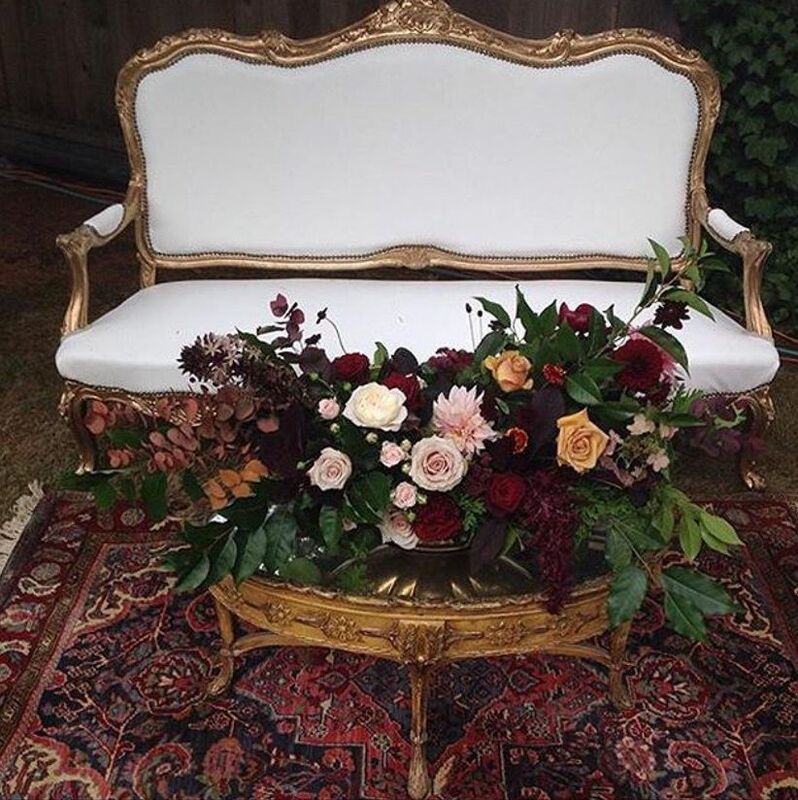 These can be different colours of the same chair style you’re using to seat your guests or you can make a bolder statement with fancier furnishings. 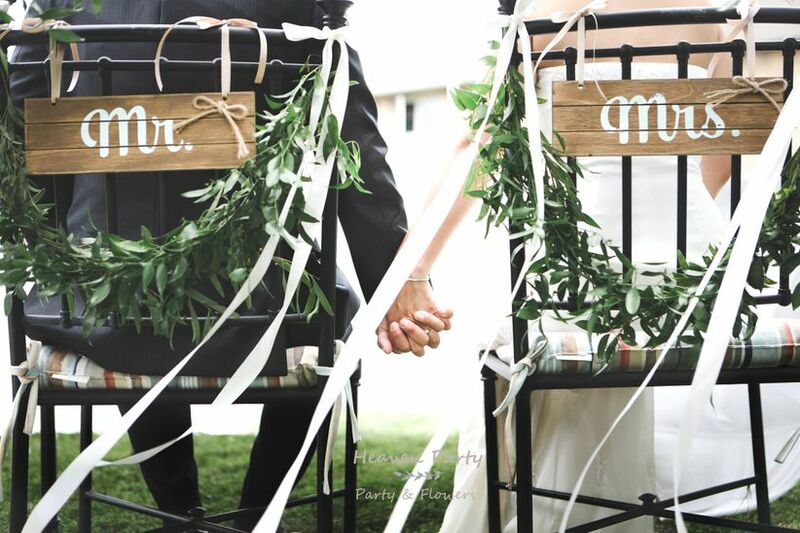 We love the idea of stringing your bride and groom chairs together with a banner as a symbol of your union. This could be fabric, a garland of greenery or a cute paper banner. Use your initials or your wedding monogram to mark your spots. 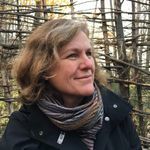 This can be done with a simple paper and string banner like this one, an embroidered banner or a framed graphic tied to the chair. The options are endless. A cozy option to set your seating apart would be to use a bench or loveseat (as its aptly named). If you’re using ghost chairs, have a decorative decal made to apply to the back of your chairs. 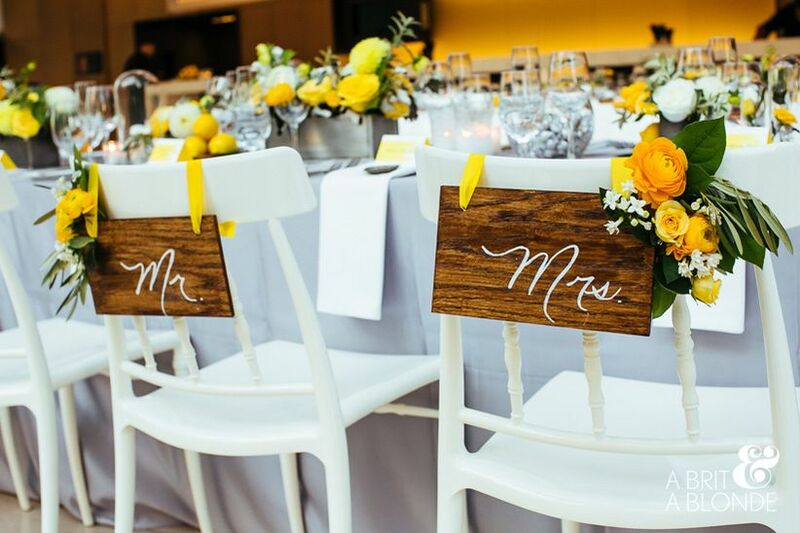 This couple used their wedding monogram effectively. You can also choose a different colour of ghost chair to set them apart from the rest.